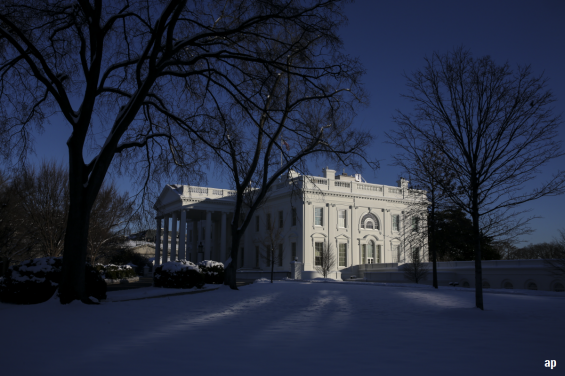 The US Government is now in the midst of the longest shutdown in history; the closure started just before Christmas, as debt negotiations reached an impasse. The crux of the issue is the Democrats are not letting Republican President Donald Trump spend $5 billion build a wall along the Mexican border, and around 800,000 federal workers have gone unpaid as a result of the stalemate. The last major shutdown in 2013 shaved around 0.1% off GDP for every week it rumbled on. The US economy has enjoyed a period of expansion recently so this should not prove too damaging – but even a buoyant economy will start to feel the impact in time. Certainly, there has been one obvious example of China’s influence this month; Apple’s lowering of its revenue guidance after weak sales in the region. The news sent the share price into freefall. There’s also another potential cloud on the horizon: at the start of March, the US Government debt ceiling will be reinstated. If this is not increased, the Treasury could be unable to raise funding through the bond markets and the US could technically default on its debt. However, Graham Bishop, investment director at Heartwood Investment Management, says this is an unlikely scenario and he is more concerned about data coming out of China and the Fed’s interest rate hiking strategy. While a slowdown in US growth seems inevitable, Trevor Greetham, head of multi-asset at Royal London Asset Management, says investors would be wrong to assume this will lead to recession. He has been taking the opportunity to buy stocks at lower prices after the worst December on Wall Street since the midst of the Great Depression in 1931. But Anthony Rayner, multi-asset fund manager at Miton, is cautious about the outlook and has lower than usual exposure to equities while increasing his exposure to gold and limiting the credit and duration risk he is taking in fixed income investments. He thinks liquidity is paramount at the moment, so he can react quickly and take advantage of opportunities as they arise. Hollands is more positive, arguing: “The direct impact of the shutdown on the US stock market is marginal, largely because the market is dominated by enormous companies with global reach.” He thinks the strength of the US dollar will be a more important influence on the direction of markets; a softening of the currency is a risk to UK investors with money in US and global funds. They will see the currency boost they have enjoyed in recent years eroded away if the dollar weakens, as their returns are worth less when converted back into pounds. So, what is the effect of all this uncertainty on US investments? So far, not a great deal. Since the shutdown began, the S&P 500 is up almost 7% to 2,582 and the Dow Jones by more than 6% to 23,909. Over the past month the average North America fund is down 2.7% but a handful of funds within the sector are in the black over that period. The New Capital US Future Leaders Unhedged fund is up 4.1% over the past month. The fund has 21% of its assets in software firms and a further 16% in general retailers, with largest holdings including Amazon, Netflix and web hosting company GoDaddy. Meanwhile, Natixis Harris Associates Concentrated US Equity is up 2.5%. Its largest weightings are to the consumer discretion, financial and communication services sector. Top holdings include Hilton Worldwide, General Motors and Google-owner Alphabet.